Running The Middle Half with Lesli was special, not only because it was held in the city where we met, but also because I credit her with getting me into running races. She ran her first half marathon in 2006 and I was so inspired by it that I wanted to do the same thing. 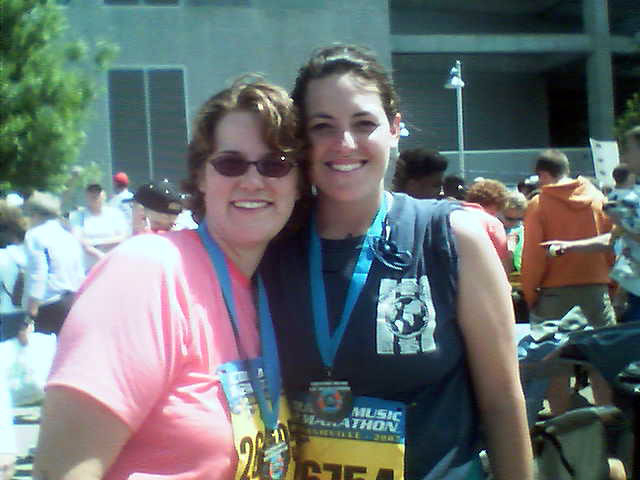 She joined me for my first (her second) and together we ran the Country Music Half Marathon in Nashville on April 28, 2007. Had Lesli not tested her own will to run 13.1 miles, I’m not sure I would have. So Jeremy asked about abortion.